The Deli is equal to those in Europe. Since 1975, the New Farm Deli has been the premier destination for customers seeking traditional Italian and European cheeses, meats and delicacies. The selection is vast and is an epicurean’s delight. A destination in itself! If you looking for a Wedding Cake with a difference, check out our amazing Cheese Wedding Cakes ! Our Deli includes a boutique European wine section that provides you with the opportunity to pair your wine with the gourmet delicacies. The wines can be bought in quality wine boxes ideal for gift giving. The Café has the vibrancy and hub-bub of a large Italian family. You expect great food and that’s what you get and more. As we are a cafe, we don’t take table reservations. We are noted for our quick service. So, please order at the counter and your food and drinks will soon be served. We open from 6.00am for breakfast till 6.00pm (…5pm on Sundays). The perfect meeting place for friends, family and clients for a meal or just coffee! If you just want coffee to go, we can make it quickly for you. We provide innovative, creative food for all occasions and budgets with understated traditional or contemporary elegance. We aim to deliver exactly what you envisaged either from our catering menu or your own personally designed menu. We discuss your requirements in depth to ensure your function will be a success. We cater for private and corporate functions. Our wide range of gourmet sandwich platters, antipasto platters, canapés, finger food and finger sweets ensure we will delight your guests. 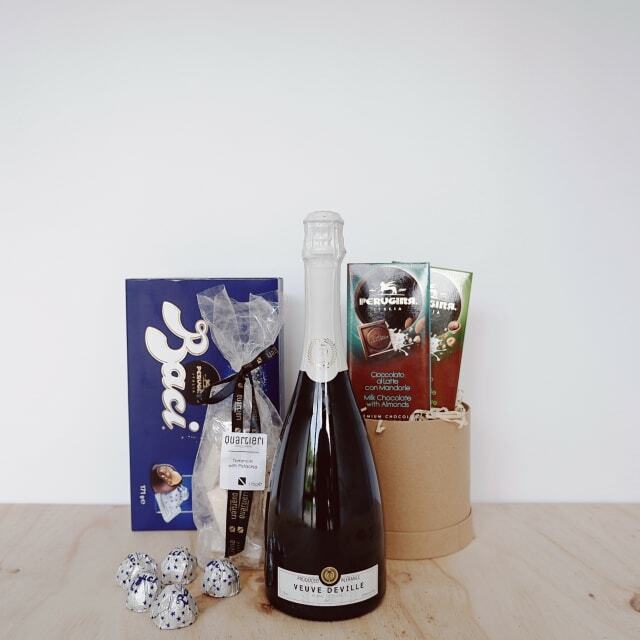 There are hampers ideal for all occasions and the selection of hampers include: Picnic Baskets, Gourmet, Chocolate, Birthday Hampers & Gifts, House Warming Gifts, Premium Wine Gifts and a great selection of Deli Fresh Hampers. 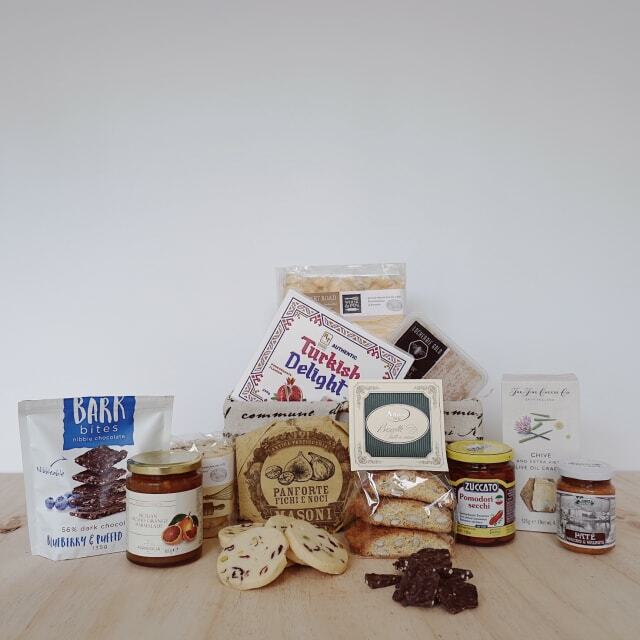 Our hampers are ideal for personal and corporate gift giving. We are happy to customise hampers to suit. 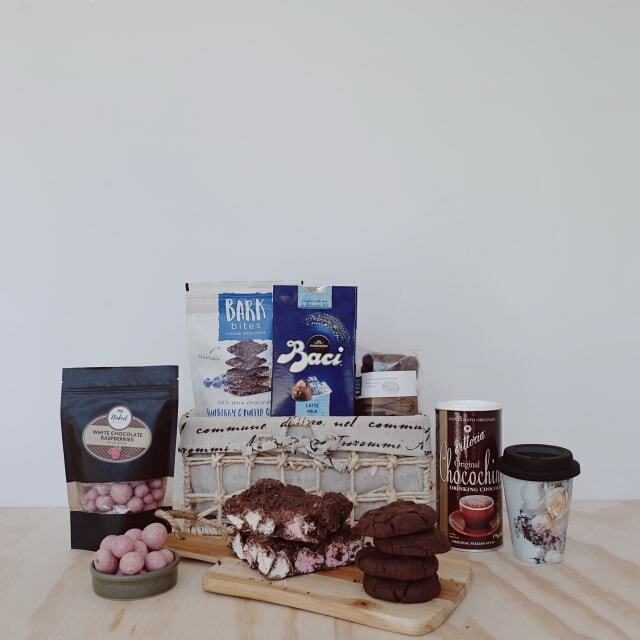 The essence of New Farm Deli has been captured in our gourmet hampers. We source the best food and wine from Europe and Australia. The quality of our products, variety and uniqueness mean our hampers have a point of difference. 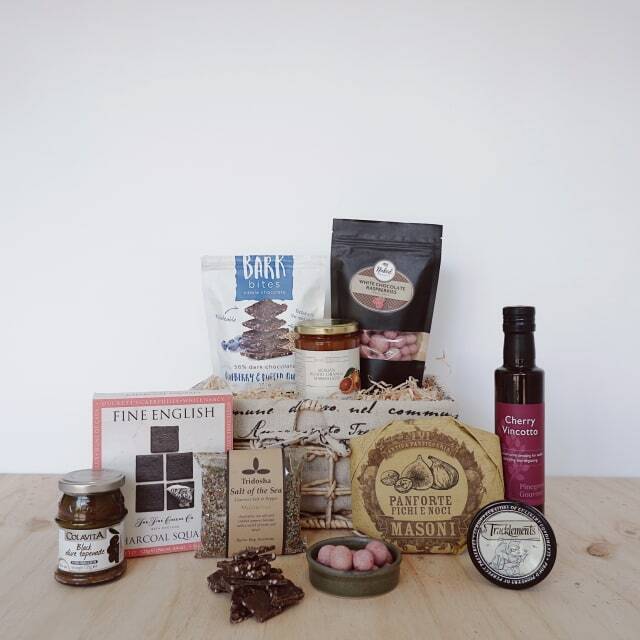 Many of our hampers are presented in quality gift boxes making them ideal for personal or corporate gift giving. For our corporate customers, we can provide multiple hampers for staff and/or clients and deliver to various locations around Australia.